Break up the monotony and brighten up the concrete jungle with this striking geometric tile. 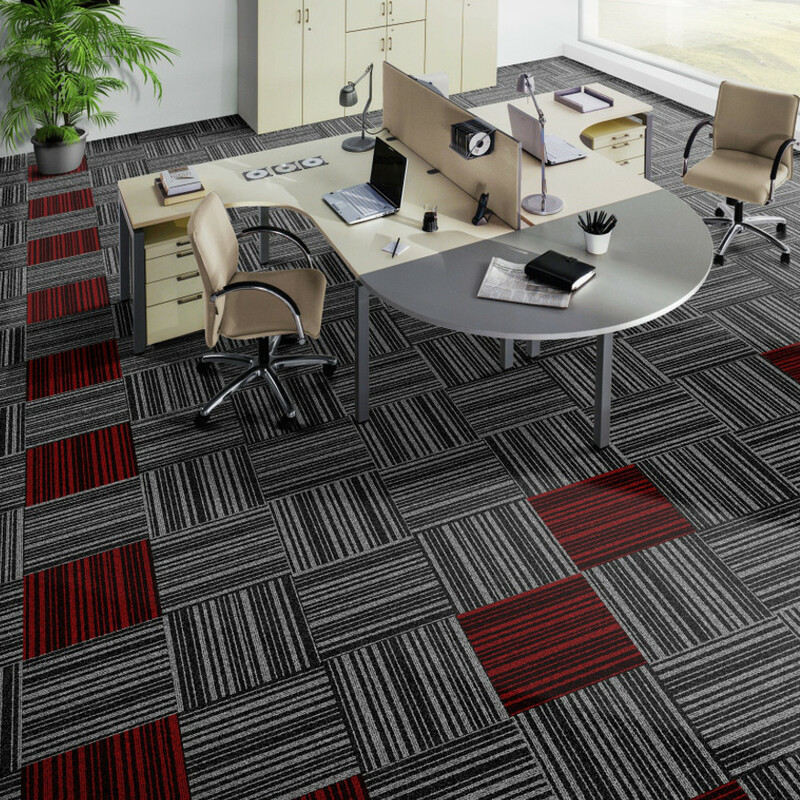 Perfect for modern work environments or institutions looking to make a bold statement, thick and thin stripes with varied spacing add texture and tone to this structured needlepunch carpet. The hardwearing surface guarantees good looks and durability, while the eco-friendly stainproof fibre ensures cleaning and maintenance stays tax-free!